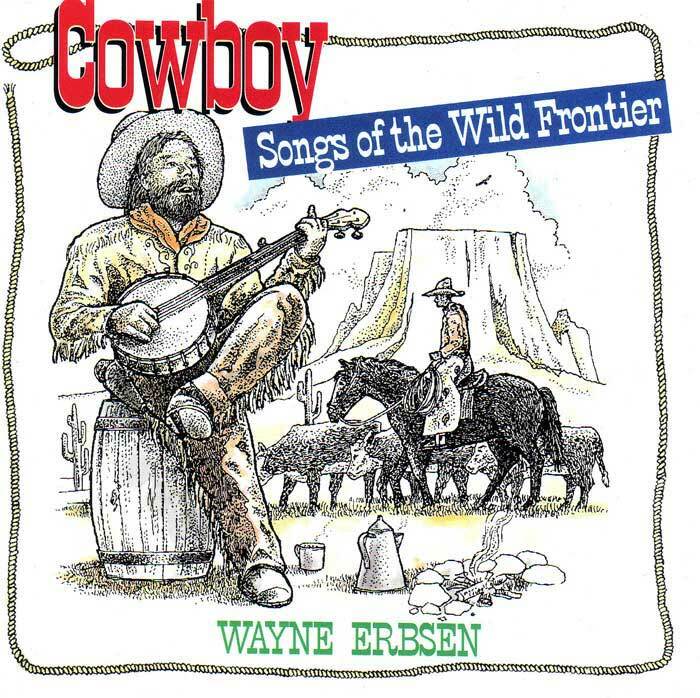 Wayne Erbsen’s “Cowboy Songs of the Wild Frontier” takes you far out on the prairie with authentic picking and singing on the greatest cowboy songs of all time. 13 vocals, 2 instrumentals, 52 minutes. The perfect companion to the book “Cowboy Songs, Jokes, Lingo & Lore.” Click musical notes, below, to hear a short sound clip of that song. THE SONGS: Trail to Mexico, Bury Me Not on the Lone Prairie, Goodbye Old Paint, Texas Rangers, The Old Chisholm Trail, Doney Gal, When the Work’s All Done This Fall, Sally Goodin, Colorado Trail, Texas Quickstep, Roving Cowboy, Cowboy Valentine. Be the first to review “Cowboy Songs of the Wild Frontier” Click here to cancel reply.